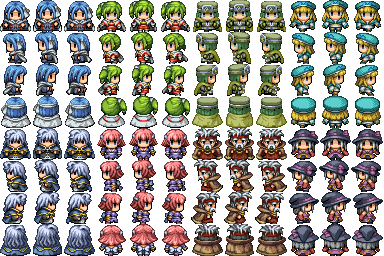 Recoloring is one heck of a pain in the you-know-what for me @_@ But, I need recolors for my game and I want them to be of some use to everyone if possible. So, I'll be posting all my recolored stuff here. No crediting required, because I did not do anything except recoloring. 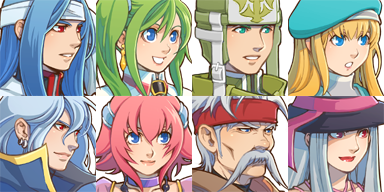 Updated the OP with Bennet's face and sprite recolor.